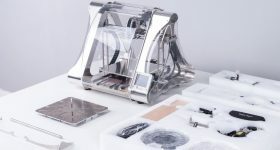 The Mayku FormBox thermoforming system. All in all we found the process incredibly easy to handle. This is further substantiated by the fact that Makyu has acquired all the appropriate certification for the safe use of its system in schools, by children aged 12 and above, and 8 – 12 years under adult supervision. A “caution hot” sticker is placed on the ceramic plate to dissuade any accidents, and the system is designed in such a way to designate all the parts that can be touched – e.g. safe dials and plate handles are all colored yellow. Close-up of color coded dials on the FormBox. 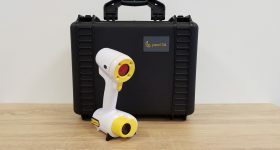 To test the capabilities of the FormBox, we tried several objects of varied size, detail and complexity and demonstrated its fidelity against the original object. 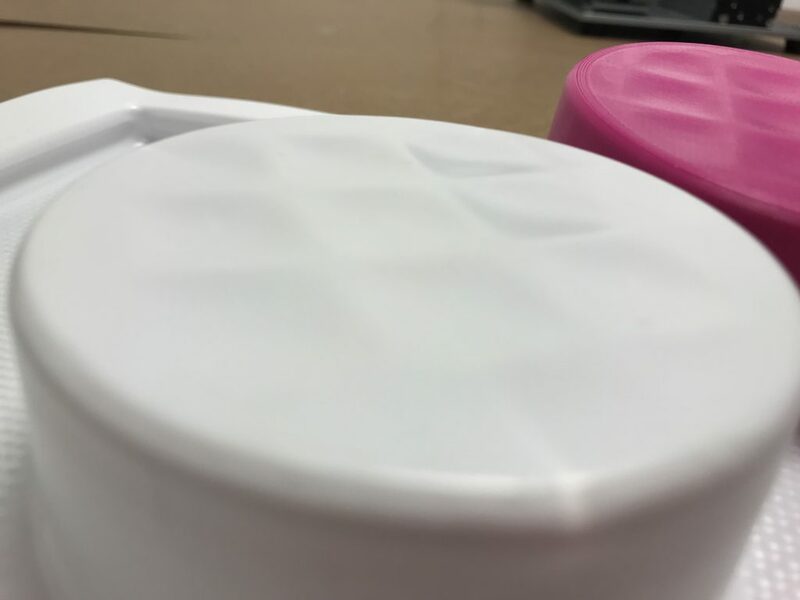 The results achieved when thermoforming relatively flat and large (9cm across) object were excellent. 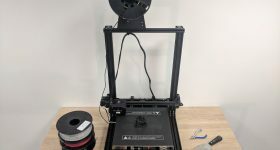 Both PETG and HIPS sheets created near perfect impressions of the objects, even replicating small lettering and shallow surface details.The removal of parts from the molds was also easy as the edges had not been undercut by the plastic sheet during forming (Mayku advises how to avoid undercutting in the included user manual). 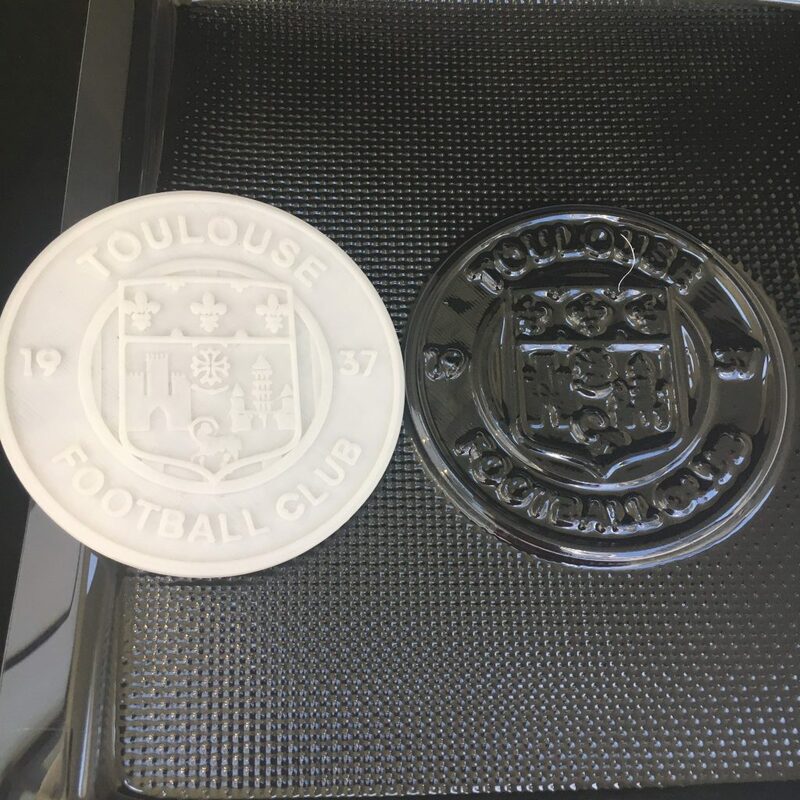 Vacuum formed PETG mold of the Toulouse Football Club emblem and its 3D printed counterpart. 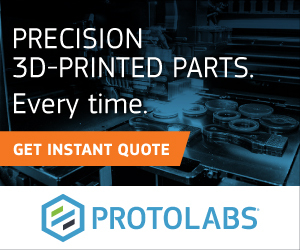 This reproducible detail would be suitable for casting multiple replicas of the 3D printed part in a small volume, rather than having to 3D print the object each time. It also opens up the use of traditionally cast materials, like chocolate, soap, wax, resins and cement. 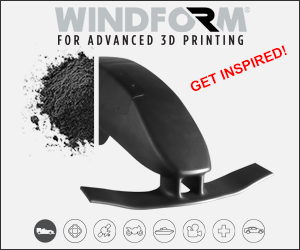 Vacuum formed HIPS mold of a 3D printed part with shallow surface detail. Second, we tested the former’s suitability for packaging. 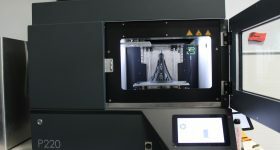 This can be achieved by 3D printing a model a fraction larger than the object to be sold, allowing for a little “breathing space” inside the packaging. Again, the finish of the thermoformed plastic across figurines, like the fish pictured below was excellent. We were impressed with how professional these objects appeared with even a little packaging. 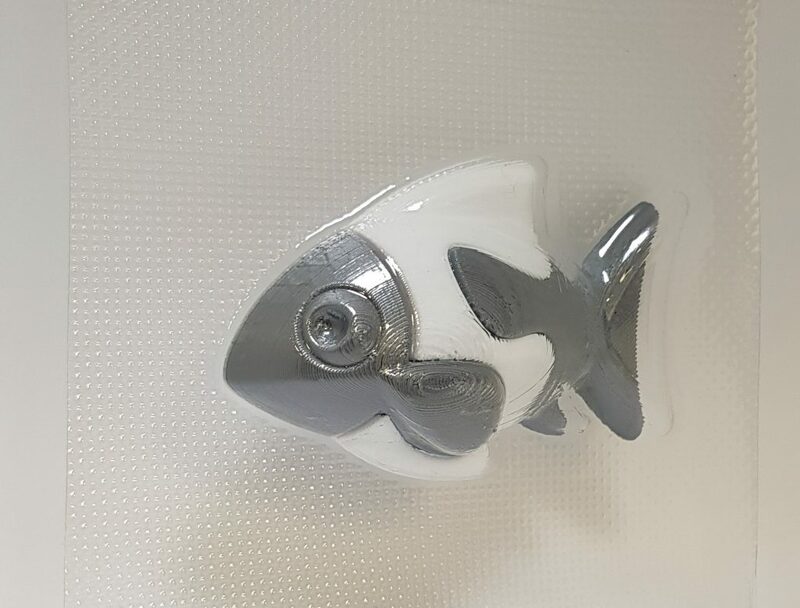 3D printed fish in its vacuum formed packaging. 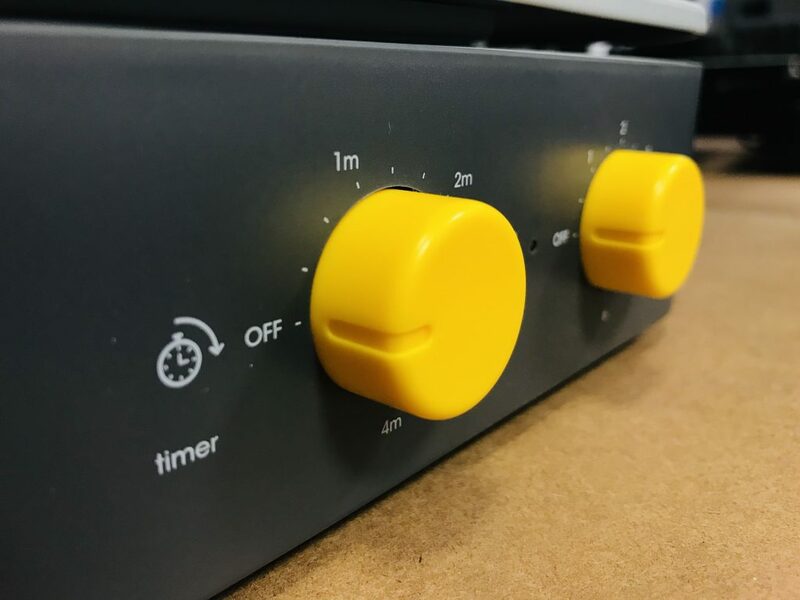 Finally, for precision, we tried more complex objects in the thermoforming process. 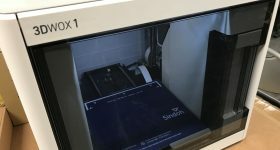 A 3D printed dental impression was faithfully reproduced with the FormBox. Even though it required a little prising out of its mold with a screwdriver, the plastic sheet retained a strong shape without damage that would compromise a casting. 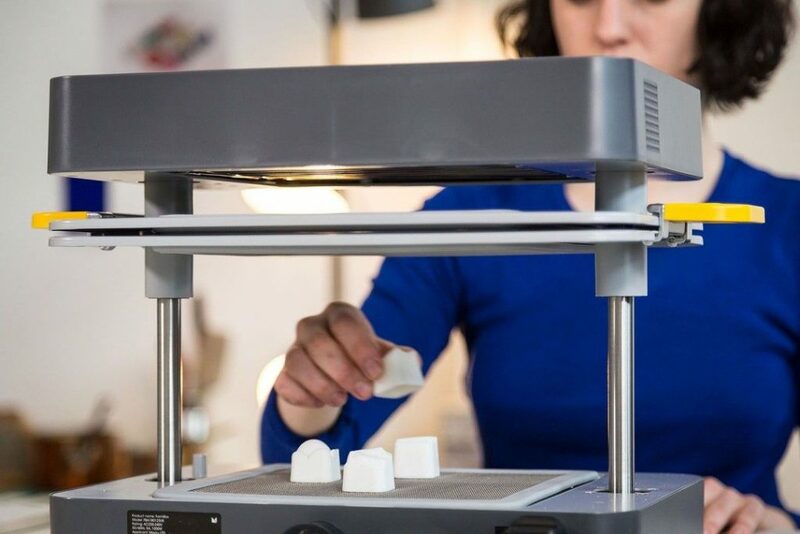 Based on our tests, the Mayku FormBox is an excellent machine offering an accessible and affordable way for users, new and experienced, to vacuum form 3D printed objects and significantly enhance their production capabilities. 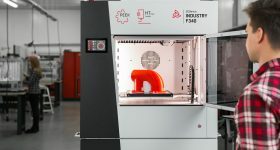 Clear instructions and test models help users get-to-grips with the process and understand its strengths and limitations – with them, we were able to create the first successful mold within 10 minutes of unboxing the machine. 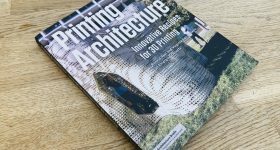 The FormBox is a very flexible platform as different shapes and sizes can be thermoformed as explored above. 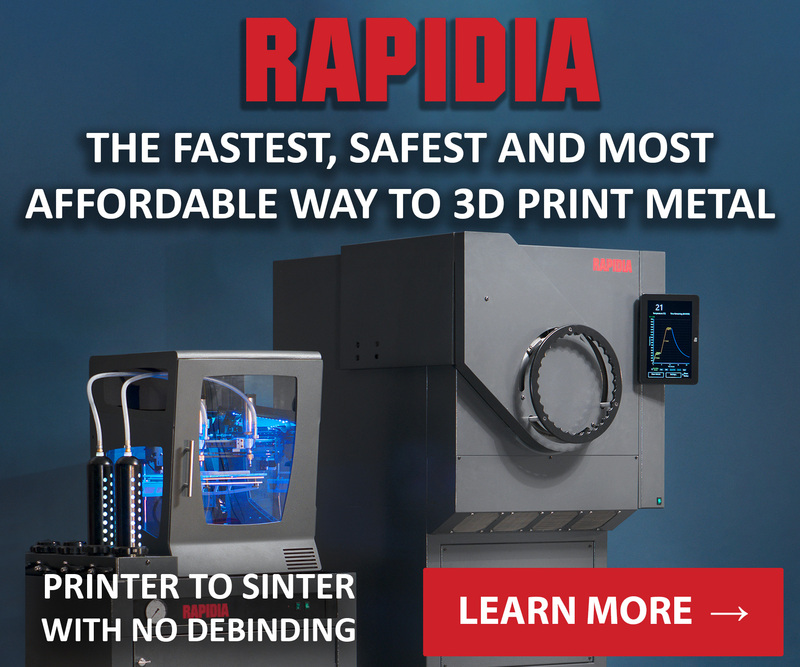 The surface finish achieved is almost identical to that of the original object, the vacuum process happens in a matter of seconds and works very smoothly. 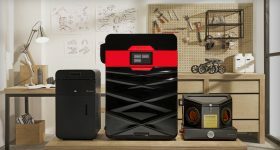 The main value-added application we identified for the FormBox’s use alongside a 3D printer, is its potential to accelerate small batch production. It is also a handy packaging tool when you remember to allow for extra space. The FormBox desktop thermoforming machine is available from Makyu for £599, with free delivery within the UK. 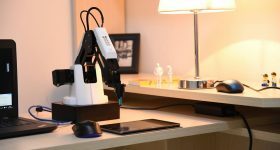 Shop the Makyu FormBox here. 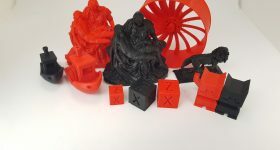 Featured image shows The complete Mayku FormBox kit. Photo via Mayku.